CLEAR’s venerable, award-winning NEMO (Nonpoint Education for Municipal Officials) Program is embarking on a five-year program to assist Connecticut communities in complying with the state’s revised “General Permit for the Discharge of Stormwater from Small Municipal Separate Storm Sewer Systems,” or the MS4 permit. Stormwater runoff is a major source of flooding, erosion and water pollution in Connecticut’s waterways, and is expected to become even more of a problem as climate change progresses. After much negotiation between CT DEEP, Connecticut municipalities and the environmental community, the MS4 underwent a significant expansion and enhancement this July. Eight new towns have been brought into the program, making a total of 121 (almost ¾ of all the municipalities in the state), and for the first time most state and federal institutions are also included. And, while the program remains organized according to its six “Minimum Control Measures,” there are important new aspects and requirements involving monitoring, maintenance of town properties, and “disconnecting” impervious areas through Low Impact Development (LID). MS4 “Circuit Rider”: a NEMO Extension Educator dedicated to the MS4 support program will conduct workshops, trainings and consultations with towns. MS4 website: a website far above and beyond the typical regulation website is being developed, as an authoritative and detailed (but not wordy!) guide to MS4 implementation and home for special technical and mapping tools. Webinar series: CLEAR’s webinar series will spin off a special NEMO/MS4 series highlighting different requirements of the regulation and approaches to meet them. 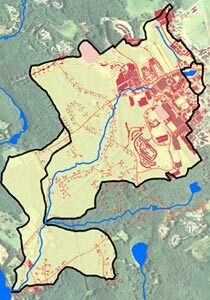 Mapping training: CLEAR’s Geospatial Training Program will provide training and tools to help communities meet the new mapping requirements of the permit. Impervious Cover data: NEMO is working with an outside contractor to obtain high resolution impervious cover data, which will be an enormous asset to conducting the drainage area and impervious area analyses required in the permit. The CLEAR Water Team (aka NEMO Team) is looking forward to this challenge, and in the process developing a whole new generation of stormwater outreach tools and resources. NEMO will be working with DEEP, regional Councils of Government, and both public and private sector organizations to tackle this issue so important to the health and welfare of the citizens of Connecticut. Look for an announcement of the website soon. In the meantime you can view the CT DEEP MS4 Fact Sheet online (s.uconn.edu/ms4). Questions should be directed to Dave Dickson (david.dickson@uconn.edu) or Mike Dietz (michael.dietz@uconn.edu). Modeled after CLEAR ’s highly successful Land Use Academy, we are embarking on a new forum for land use officials and other interested professionals, a Climate Adaptation Academy (CAA). The CAA, sponsored by Connecticut Sea Grant and CLEAR, will serve as an outreach arm of the recently announced Connecticut Institute for Resilience and Climate Adaptation. We envision the CAA as an exchange of information, issues, experiences and solutions. A series of one-day workshop for local officials and other interested professionals are under development and will focus on current climate issues and climate adaptation that will lead to resiliency. We plan to have a revolving list of topics discussed by experts based on input and needs identified by municipal officials, land use commission members and others. The agenda for the CAA will run the gamut from sea level rise and coastal erosion to storm water flooding, the national flood insurance program, energy and power outages, and legal issues associated with climate change. We will be bringing in experts from academic institutions, state and federal agencies, and the private sector – whoever we can best find to address the questions that you raise. Each CAA will have an opportunity for you to express your needs and thoughts, and we will do our best to address those issues. The first Climate Adaptation Academy is planned for Saturday May 3, 2014 at UConn’s Avery Point campus with an agenda that includes: Major Threats of Climate Change, Climate Change and Your Town, Flooding and Emergency Response, DEEP and Climate Adaptation, and an opportunity for you to identify what issues are most important to you. The location of the CAA will change to include coastal and inland sessions, as well as eastern and western locations so that it is easier for people from throughout Connecticut to attend. 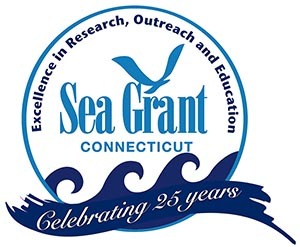 Watch the Connecticut Sea Grant and UConn CLEAR websites for the May 3rd agenda and registration information. If you have any questions, please contact Juliana Barrett at Juliana.barrett@uconn.edu or Bruce Hyde at bruce.hyde@uconn.edu.